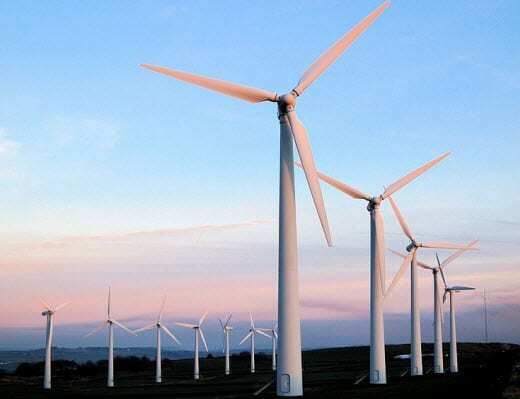 Wind energy is among the most promising forms of clean energy that is currently available. Like sunlight, wind is a consistent, renewable source of power that can be harnessed and converted into electricity. When wind energy is mentioned, many people often think of wind turbines that cover large swaths of land or those that are located offshore. Windmills are also a type of wind energy system that is used to generate mechanical power. Windpumps and sails are also example of more rudimentary systems that can harness the potential energy that wind represents. In terms of electrical power, wind energy has held promise since 1887, when Scottish Professor James Blyth build a cloth-sailed wind turbine that was capable of generating electricity. Since then, the popularity of wind energy has been growing, slowly but surely. By the mid-1920’s, 3-kilowatt wind turbines were being developed by companies interested in clean energy and new technologies. Many of these turbines were widely used in the U.S., but fell by the wayside in the 40’s when the demand for energy skyrocketed. In the following years, fossil-fuels became the country primary source of power. 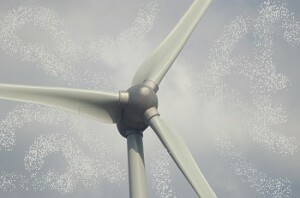 The most common way to harness the kinetic power of air in motion is through wind turbines. 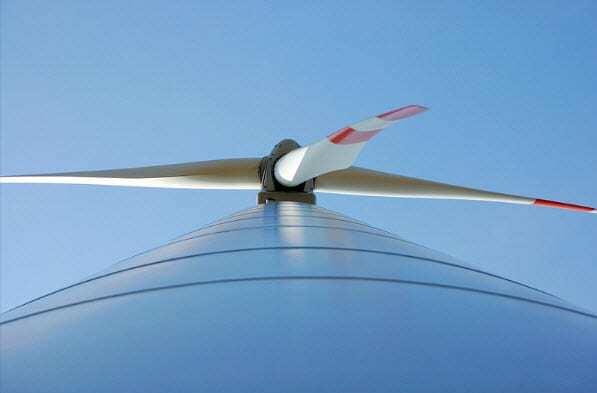 Typically, these turbines are found in open areas of land, often called wind farms. A large number of turbines are usually needed to generate a viable amount of electricity. There are some problems with traditional wind farms, however, that lead to steep declines in the electricity they are able to produce. Because wind currents can be intermittent inland, some wind farm can go for days without generating any significant amount of electrical power. Offshore wind energy systems are gaining popularity as an alternative to traditional wind farms. Wind turbines installed at sea have the benefit of being exposed to the powerful, unmitigated strength of ocean wind streams. As such, these installations can produce more electricity more consistently than their traditional counterparts. 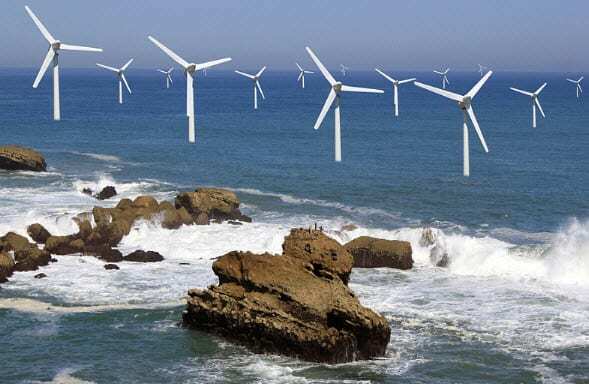 They are, however, far more expensive and the logistics involved in installing wind turbines at sea has kept these energy systems from becoming widely used around the world. 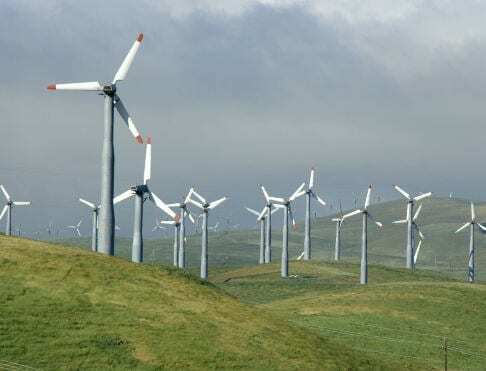 Wind energy presents a promising opportunity to countries like China and those in the European Union because of the potential for producing renewable energy are relatively low cost. Apart from the upfront investment needed for wind energy projects to take root within a country, the energy these systems create is free and sustainable. For country’s with expanding economies, the ability to make use of free energy may be economically attractive.